Author Findings: While writing this Browsec review, I have plenty of flows in the service. Found DNS leak and WebRTC leak while testing the service. Not recommending for torrenting or streaming. found a huge decrease in the speed of servers as well. Alternatively, you can try NordVPN which is 9/8 out of 10 user rating. Browsec VPN is a proxy add-on that is available for Chrome, Opera, and Firefox browsers through which you could simply unblock websites around the world. It has gained an immense attention with a user list of almost 3 million. This service hasn’t displayed much knowledge about the ownership of the VPN extension on the web page. However, Browsec is found to be a Russian based proxy. Russian attempts to establish a constricted internet has created an uncertainty regarding the anonymity offered by Browsec. Browsec LLC Company owns the services and offers free services to the users worldwide. However, if you want an enhanced version with many efficient features than you could opt their premium offer which includes monthly and annual pricing plans. In this Browsec review we will see if this VPN provides, anonymous connection, fastest connection, VPN protocols selection, the wide range of VPN servers & DNS leak protection. Browsec is compatible with most of the devices including Mac OS X, Windows, Linux, iPhone, and iPad. It also offers a VPN app for mobile phones. Browsec has a rating of 4.5/5 on Google webstore which is a good rank given through 11000+ reviews. Easy to Use: The interface offered by Browsec VPN extension is user-friendly and easy to use. An individual could easily install and learn the operation of this add-on. Switch server location: You could switch your server location among the four provided options according to your own will. No Data Limit: That means an unlimited downloading and a carefree browsing experience could be enjoyed by a user. iOS application: This is what gives you a faster browsing speed as compared to a browser add-on. Limited Server Location: With the free version of Browsec VPN extension the users are provided with just four out of thirty locations to switch their connection. Bandwidth cap: Users have to experience a slow and interrupted browsing due to a bandwidth limit of 1mbps. Unclear privacy and logging policy: They don’t have a clear policy or plan regarding privacy through which a transparent service could be made possible for the users. Restrictions could affect the services of Browsec VPN due to its location in Russia. Vague promises: They promise the users to provide anonymous browsing experience but don’t provide satisfactory information about their policy regarding IP obscuring. Also, their services are unable to work on streaming channels such as Netflix as they affirm. However, if you look at the Browsec VPN extension and the services it provides with it free version than they are quiet enough and makes it worth considering. A user could unblock restricted websites, stream videos, download content without exposing their identity to the internet world. Such basic features provided by the Browsec add-on and VPN are a great deal of privacy protection for the ones who don’t want supreme security. With browsec premium VPN services, you could boost the provided features to an extraordinary level. All of the features provided with the free version gets much efficient and increase immensely for the premium customers. The bandwidth cap is no longer a concern and you could freely browse heavy content and download stuff without annoying interruptions and lags. There is 30 server location for users from which they can choose the one according to the content they want to access. One of the ease providing features is that you are given with the dedicated traffic lanes that provide you a robust acceleration while browsing web pages. For the paid customers the prices of Browsec VPN add-on are really affordable and cheap as compared to the other VPN services. They have two plans, one is monthly and the other is an annual base. For the monthly plan you have to pay just $4.99, however, this cost decreases up to 33% when you opt an annual pricing plan. 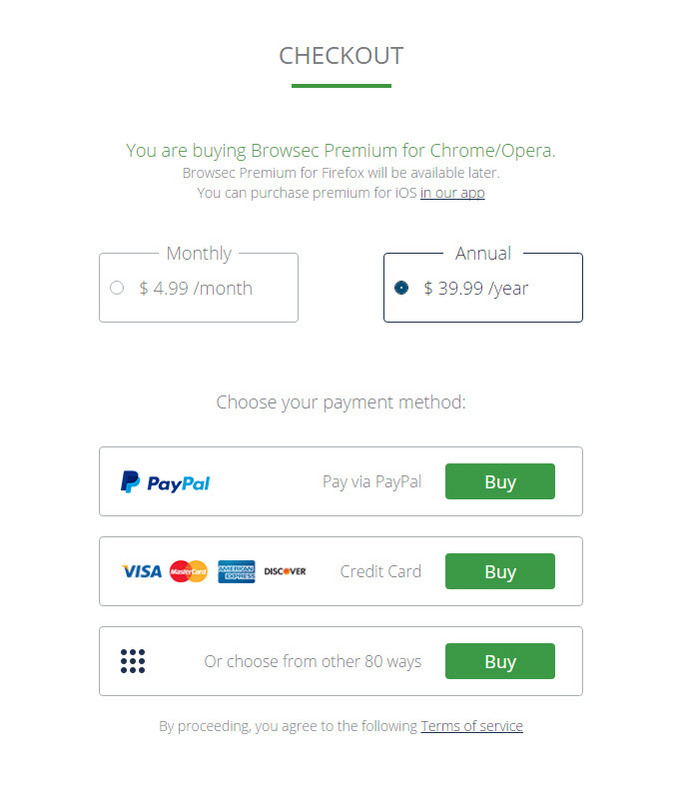 For a yearly payment, you have to pay $39.99 which means an amount of almost $3.33 per month. They advertise to provide 80 payment options including PayPal, VISA, MasterCard, and others but depending on customer’s location. Also, a customer could not use Bitcoin payment method regardless of the location. The speed test with Browsec VPN turns out to be efficient. 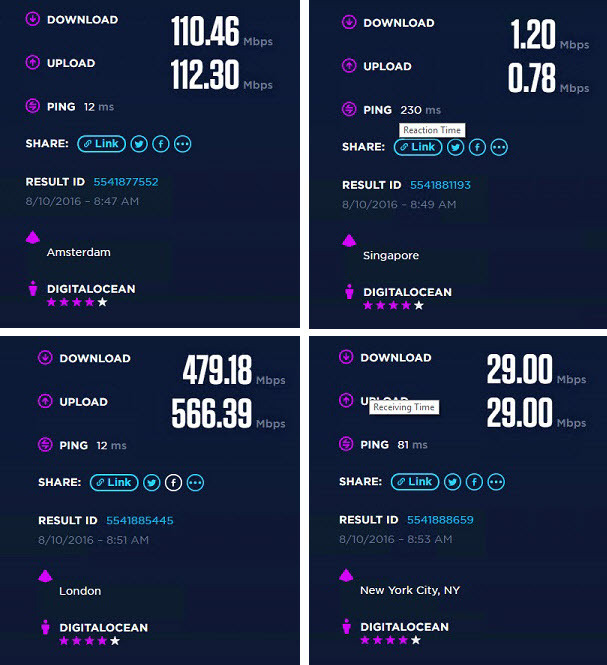 Also, a decent connection time was reported when different server locations were tested. Browsing speeds of almost every server were satisfactory except some. For instance, the Singapore server whose response was slower and speed lags were experienced. The Android application of browsec VPN add-on works with any of the iOS or Android app making your favorite content easily accessible in any place. It also makes your data safe while traveling and protects you while being on the public Wi-Fi connection. This mobile application performs well and doesn’t have speed lags. Similar to the browser extension, the mobile application has an easy interface with clear instructions. Although they don’t have a feature of live chat or 24 hours customer help service still their response time is fast enough to cater their users. They assist a user issue with great concern and works to solve that problem as soon as possible. 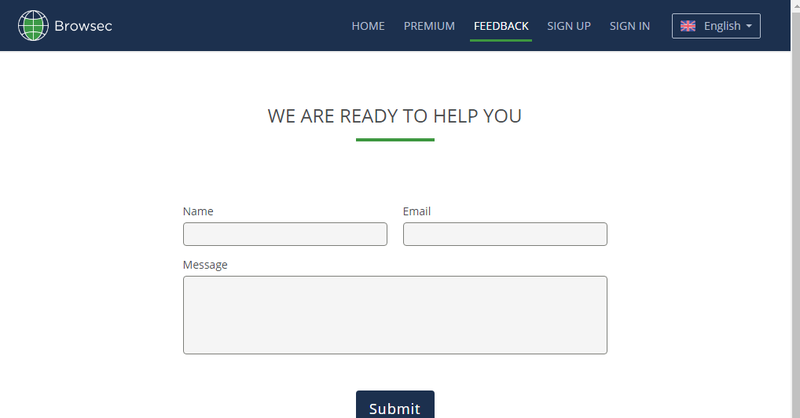 A Browsec user could address his/her issue though submitting their question from their “contact us” page. Most probably you would get an answer within a few hours after reporting your issue. There are many claims that are stated in the Chrome Webstore which were not verified while Browsec review. For instance, there is written that the VPN will support channels such as Netflix, Hulu, Spotify, Soundcloud, etc; however, among these, you will not be able to stream Netflix and Hulu. This is probably because these streaming channels are really popular and could be unblocked by just a few paid VPNs. Yet, Netflix is continuously blocking VPNs and now it could be unblocked by some reputable VPNs. Browsec also doesn’t include the built-in features that restrict the IP leak risks such as the WebRTC or flash player. Therefore, the users have to install the add-on or additional extensions to prevent such threats. Various security patches and feature lacks have compelled us to check out some other VPN extensions that could be the best Browsec alternatives for VPN users. Most of the Browsec users have complained their faulted streaming services, especially when accessing channels like Netflix. Also, the users are just provided with the 4 server switching options with their free version. They have a vague policy regarding the collection of user information and how this data is kept by the VPN extension. They only tell that the user information is kept for the purpose of research and improvement. Also, it is not known that the customer log is kept in private or is leaked just as the other websites. Comment from discussion [ALL] Browsec: The Chrome Extension Which Opens Up a World of New Content. Therefore, the information collected could be leaked or shared with third parties and government agencies. Also, the lack of information regarding the VPN owner company is negatively impacting Browsec’s privacy policies. Without the knowledge of the management behind a business or product, nobody wants to invest their money in it. However, an individual avoids considering its free version as they never want to compromise on their privacy. Fortunately, there are many free VPN extensions which are providing Internet users a satisfactory performance with appropriate privacy. For our readers and their convenience, we have filtered out some of the best Browsec alternatives they could opt for a great browsing experience. DotVPN is a free VPN service that has many users all around the globe due to its robust features and all-around performance. We have given it the first priority among all the Browsec alternatives because of the streaming ease it provides to the users. DotVPN provides Wi-Fi hotspot security with access to blocked content through eliminating the location restrictions. Therefore, you could easily enjoy your favorite stuff and channels such as Netflix, BBC, Facebook, YouTube and, many others. DotVPN has gained an overwhelming user response and has more than 10 million downloads from 160+ countries. They have a really simple set up process with one click connection. It is an efficient free VPN service especially for unblocking content due to its vast range of server switching options, unlike other free VPNs. You could change your server location according to your will between the options including UK, USA, Sweden, Singapore, Switzerland, and others. 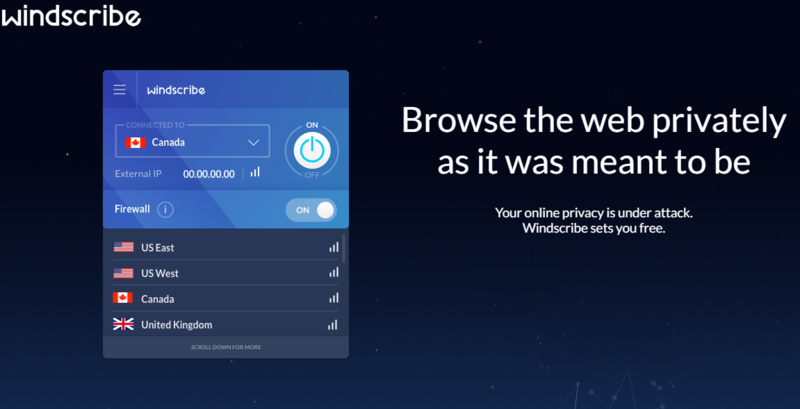 Windscribe is a popular VPN service that keeps on increasing efficiency of their VPN extension and that’s why a great consideration for the ones looking for Browsec alternative is. Recently, they have released Windscribe Beta for Linux users. Windscribe provides you 9 server locations to choose from. It also restricts tracker and intrusive ads to make your browsing experience annoyance free. While easy unblocking you are also provided with an appropriate privacy. Comment from discussion Free VPN suggestion for torrenting. BetternetVPN offers its users with unlimited bandwidth that is a great delight and benefit for uninterrupted streaming and downloading. 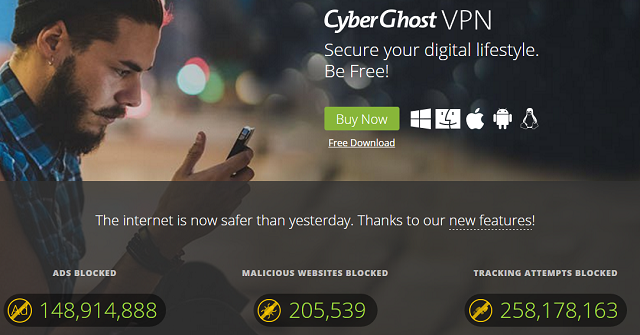 Cyberghost VPN provides you anonymity through obscuring your IP address and that’s what makes us recommend it as Browsec alternative. The built-in Firewall keeps you safe while streaming and while being connected to public Wi-Fi. 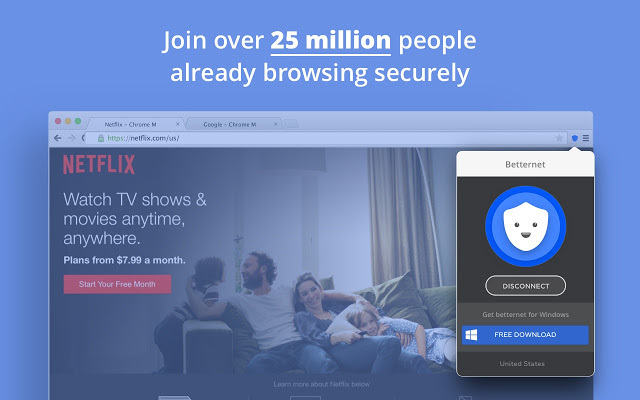 While being connected to CyberGhost you could stream popular content and channels such as Netflix, Hulu, HBO and much more without annoying and prolonged connection process. You could enable CyberGhost VPN with just a single click. 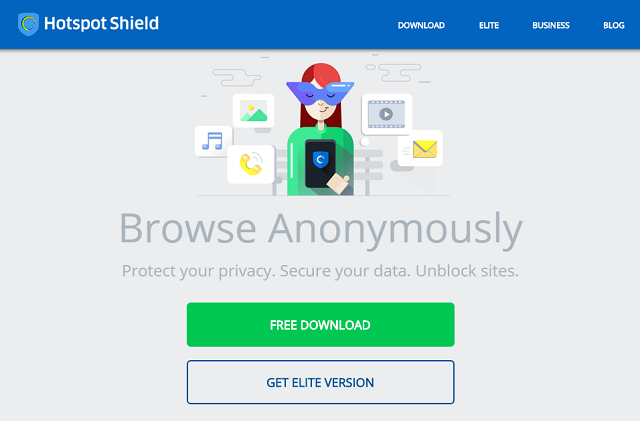 Hotspot Shield is a completely free VPN extension that provides ad-free services to its users. It an effective Browsec alternative with over 350 downloads. You could access blocked websites and content through just one simple click for enabling the VPN services. It gives you server location options of UK, US, Denmark, France, Canada, and Netherland. Therefore, you have vast options of unblocking websites with banking-level encryption to your online traffic and data. After reading this you must be thinking to consider one of the Browsec alternatives to evade the chances of data leakage. These VPNs which we have discussed above are the most popular and worth having among all the free VPN services. However, you must remember that these are not the complete VPNs as the paid ones. Therefore, it is possible that you are losing something in return of getting free services. But, for the ones with less private stuff and online activities involving personal details such as credit card information, log-in passwords, etc, these free VPN extensions are a good choice.